This site on the grounds of the former McGraw barracks will be transformed into a mixed use residential area. 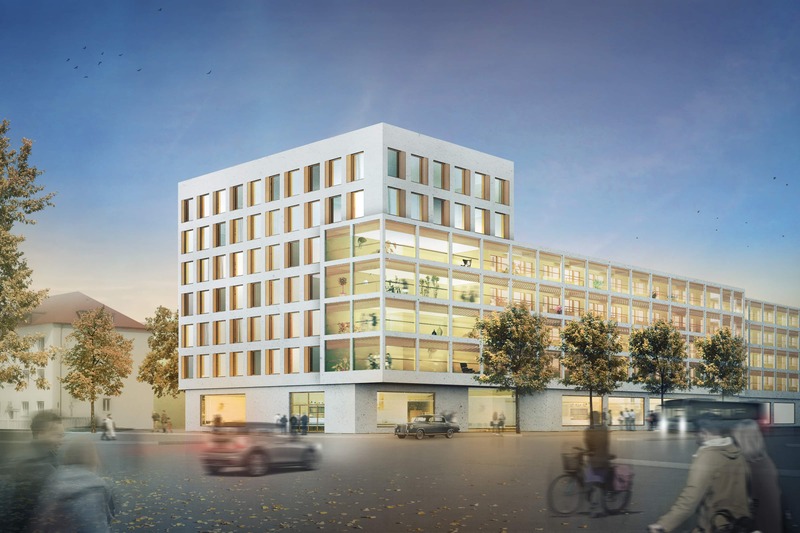 The first stage consists of 345 apartments up to six stories high and a dorm building with 215 apartments. 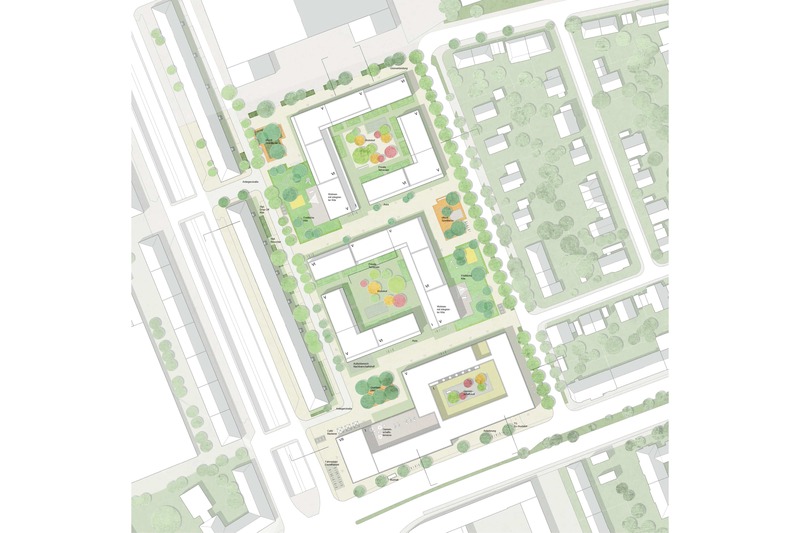 The approximately 2.8 ha site of the former McGraw barracks in the south of Munich offers the opportunity to develop a new neighbourhood for employees of the state of Bavaria and their families. 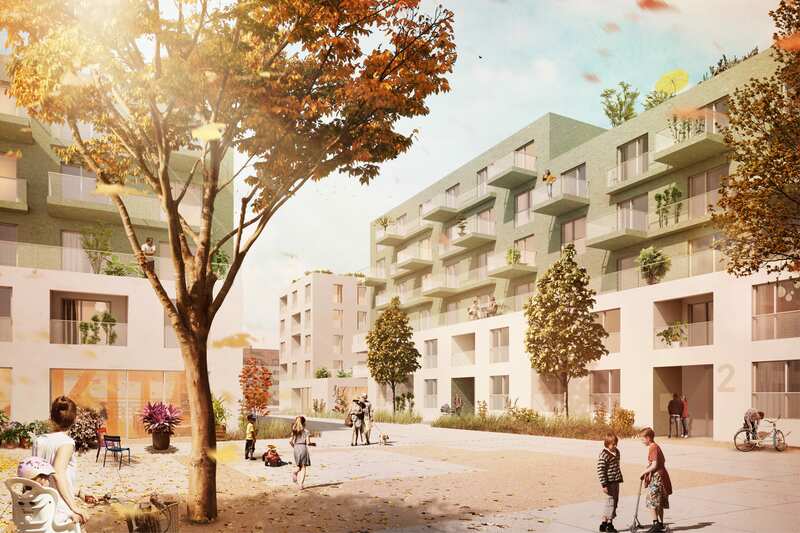 The mixed-use programme includes housing, a dormitory, retail and two kindergartens. 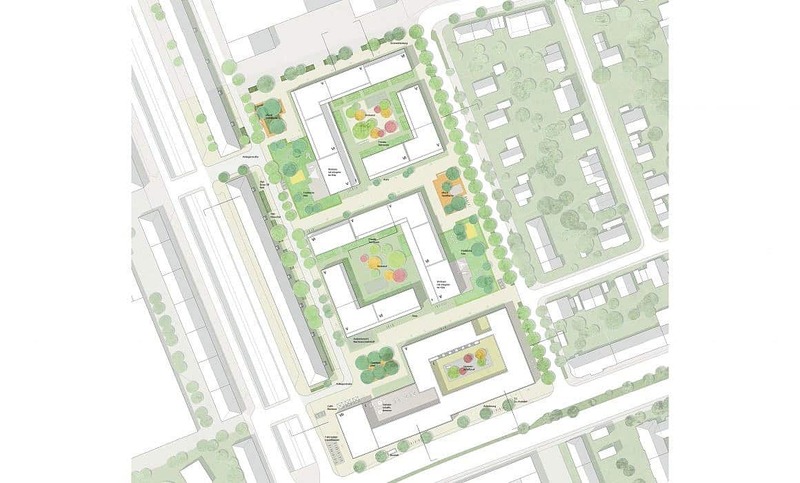 The masterplan is structured in three blocks with the dormitory and the retail organised in the most southern, at the crossroads of Stadelheimer Straße / Tegernseer Landstraße. This new building with a raised corner creates a visible address and a new entrance to the quarter. 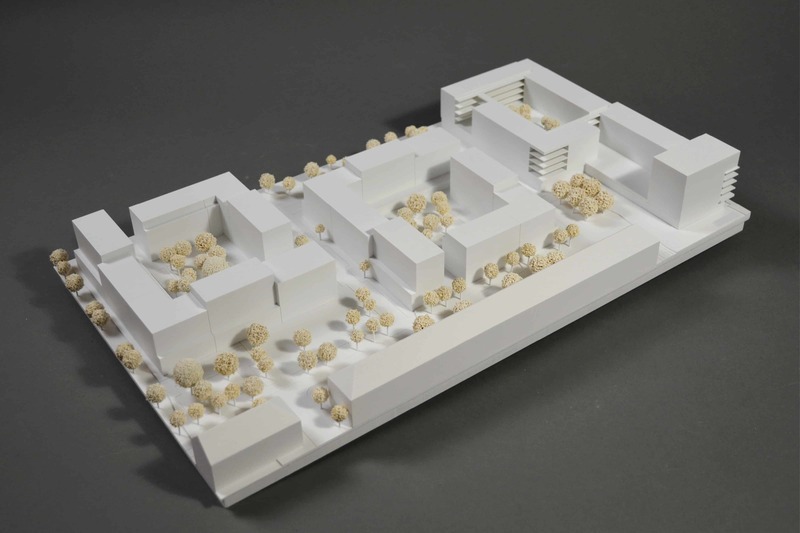 MLA+ worked together with Teleinternetcafe from Berlin and landscape office Treibhaus from Hamburg.